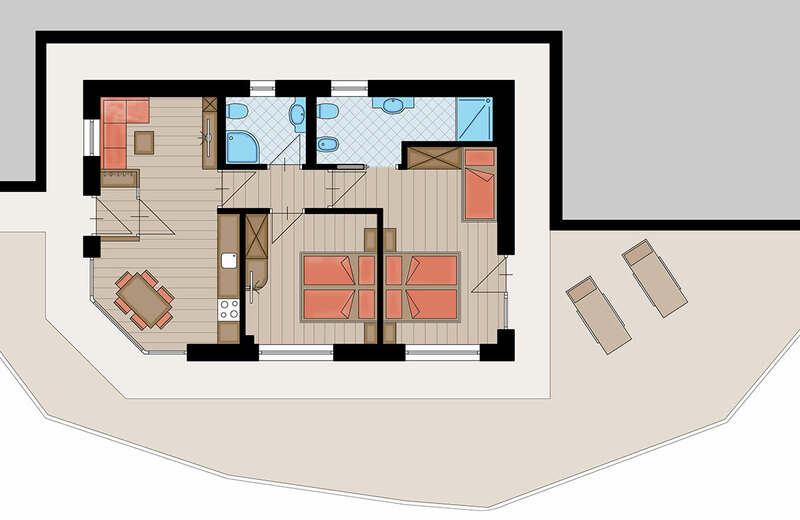 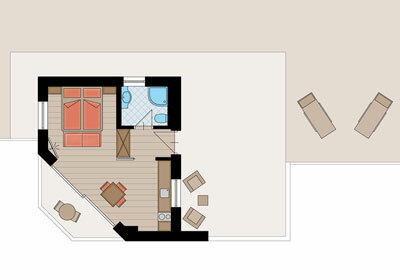 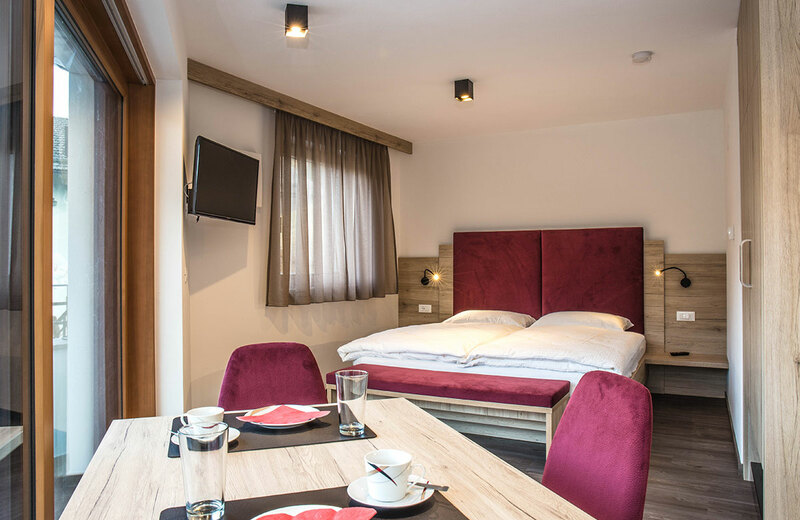 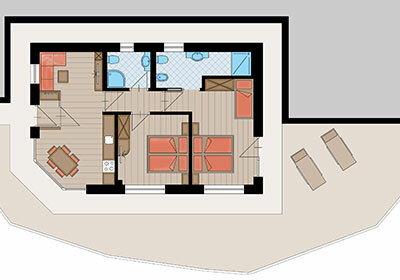 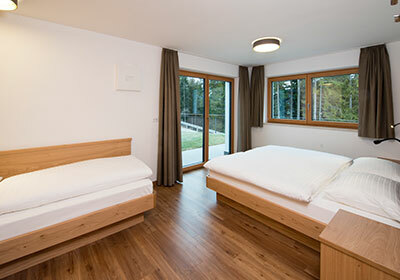 The Arpa Chalet has two new apartments, which contribute with their comfortable design to your wellbeing during the stay. 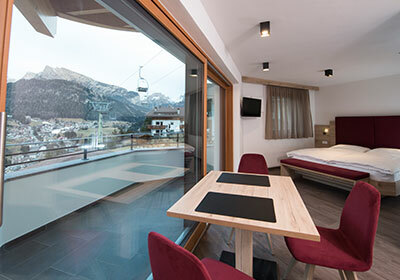 The enchanting view on the surrounding mountains, promises a pleased wake up and ensures that your eventful day in the Dolomites ends in good mood. 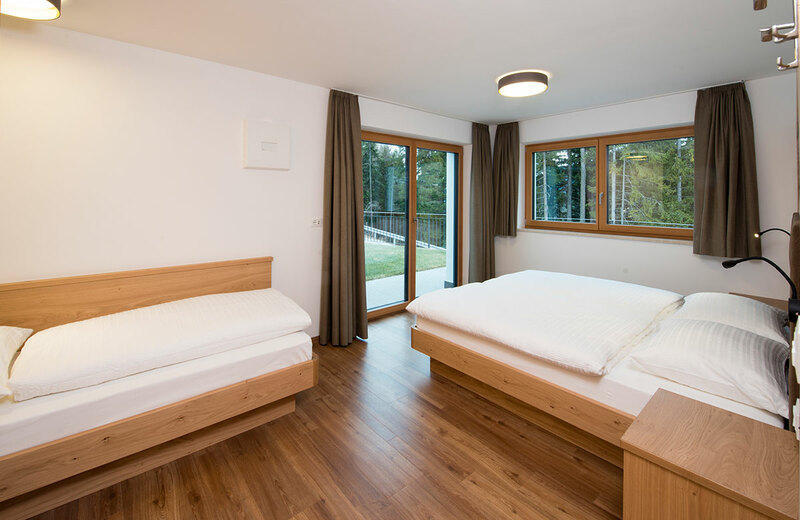 In addition, the Arpa Chalet has a free parking place in the garage, a mountain-bike deposit and a ski room with boot warmer. 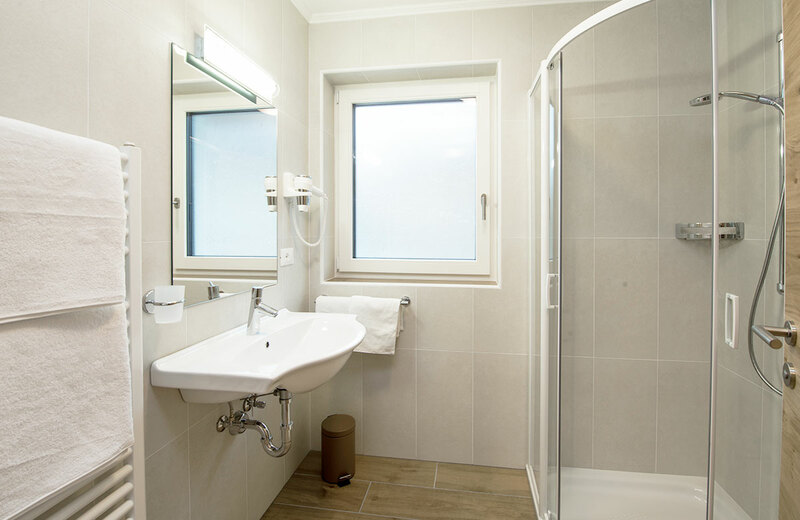 Included in the price are also the towels, bed linen and the final cleaning. 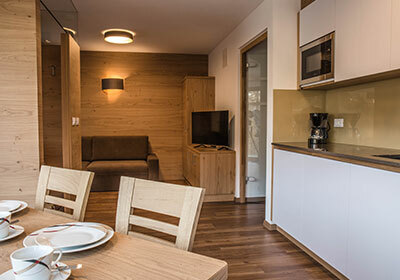 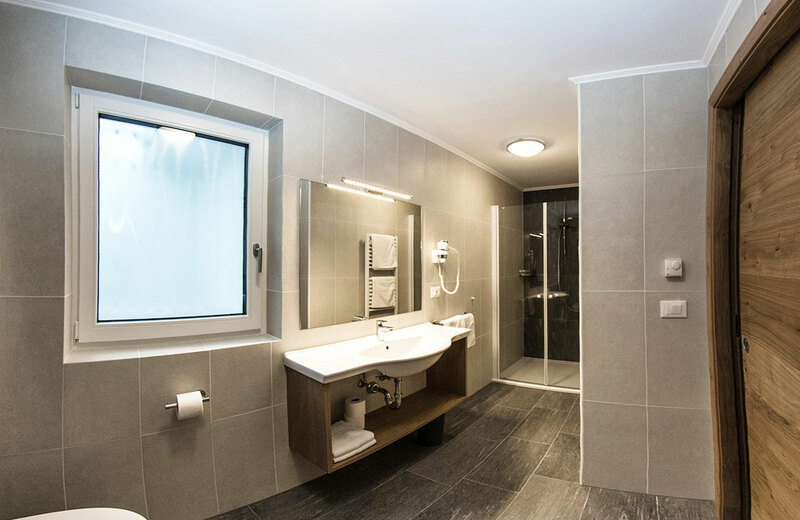 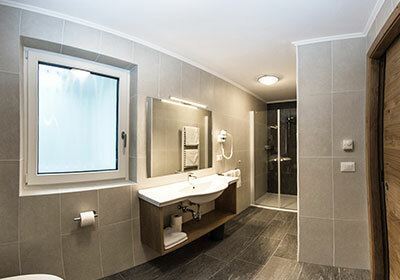 The spacious apartment “Pana” has two bedrooms (one double-bed and one triple-bed with Sat-TV connection) and two bathrooms with shower, WC and hairdryer. 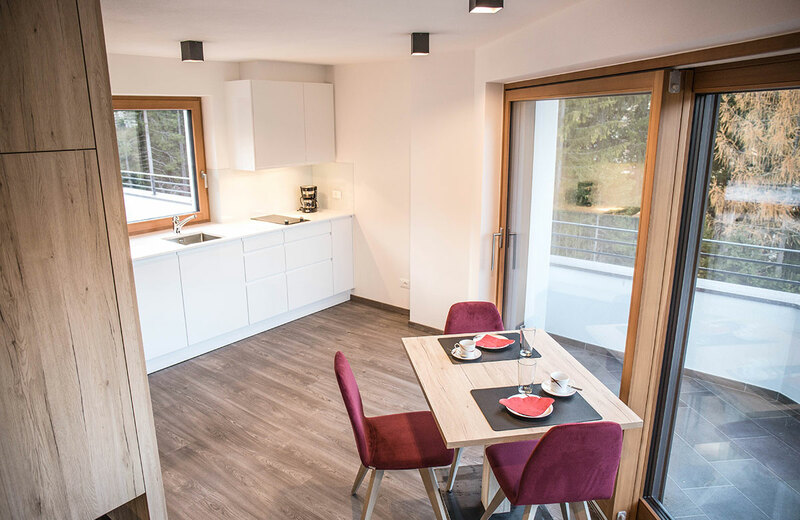 The cozy kitchen is furnished with a ceramic hob, fridge with freezer, dishwasher, coffee machine, microwave, kitchen accessories, Sat-TV flat screen and a couch. 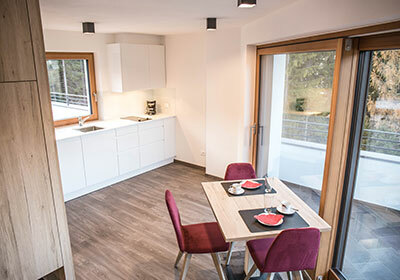 Free Wi-Fi is available in the whole apartment. 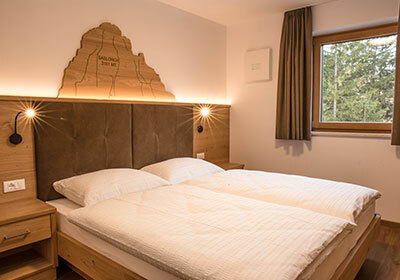 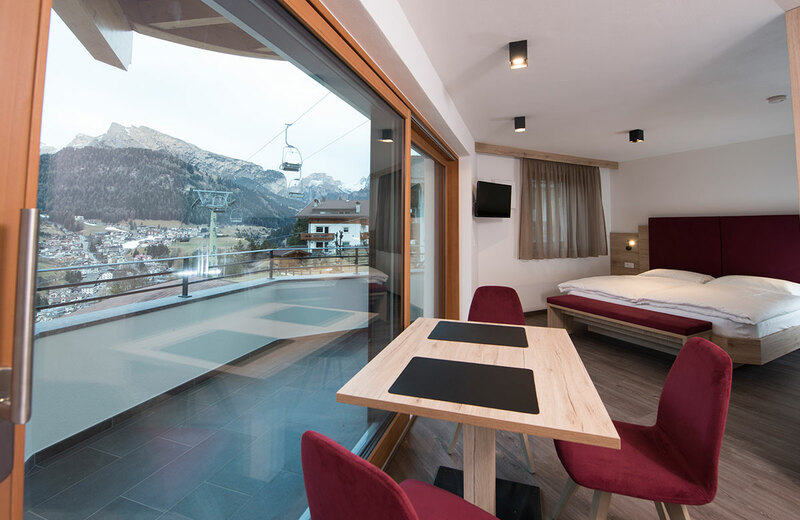 The private sunbathing area ensures relaxation and quietness after a sporty day in Val Gardena. 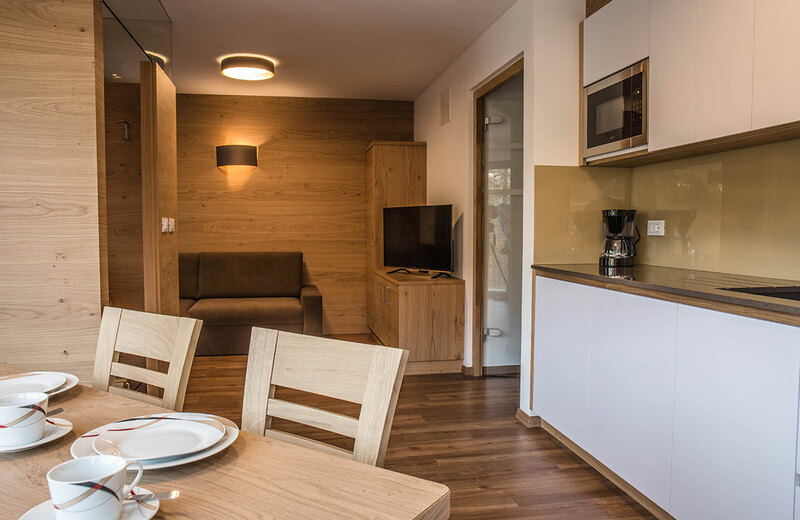 The apartment “Cir” is equipped with one double-bed, shower-WC, hairdryer, a kitchenette with a ceramic hob, fridge with freezer, dishwasher, coffee-machine, microwave, kitchen accessories, Sat-TV flat screen, free Wi-Fi and a balcony.